What about the past and future effects of the economic stimulus? Summary: Yesterday we examined the condition of the US economy. Today we look at a major driver of our prosperity, and what might be its long-term effects. Stand by for a boom! What do we have to show from 5 years of massive stimulus? In December 2007 the US economy fell into recession. In February 2008 President Bush signed the Economic Stimulus Act of 2008, with an estimated cost of $12 billion in 2008. Many such bills followed in the five years since then. The Fed pitched in, taking the Federal Funds rate from a peak of 5.25% in June 2006 to effectively zero in December 2008 (the ZIRP, Zero Interest Rate Policy) — where it remains today. Plus there have been a wide range of other measures, conventional and unconventional, by various government agencies (eg, Treasury, FHA, SEC, Federal Reserve). (2) What do we have to show from five years of massive stimulus? (a) Since 2007 America has had one of the strongest economies in the developed world. This includes record high corporate profits, a slow steady rise in jobs, and rising incomes for the 1%. But it has not come for free; it cost $6.4 trillion in new Federal public debt since the recession started in December 2007. That’s a 225% 125% increase in the debt (a double in size), $1.2 trillion per year. (b) The many powerful Fed actions, with few parallels in modern history for their magnitude and duration, have had a felicitous effect on profits of the Fed’s primary clients: the banks. Mission accomplished! Raining down, but only on the rich & well-connected. (c) Many conservatives have warned of a crippling rise interest rates, collapse of the dollar, inflation — or even hyperinflation (Weimar Germany and Zimbabwe figure prominently in their forecasts). No econometric model predicted these things; rather these dire forecasts were politically driven attempts to influence public policy. And so they’ve proven false, again and again. With, of course, no sign that these failures have sparked any learning or thinking by many conservative economists. (d) Perhaps the least expected result is that the stimulus programs greatly reduced pressure for substantial reforms. We had the Great Recession but no New Deal. This break in our national learning mechanism might have great effects, such as allowing a repeat of the follies that brought on the great recession. (e) The most common warning — loudly if irrationally disputed — concerns the many trillions of government debt we will have borrowed before the economy eventually returns to a normal state. It is a burden because we do not “owe it to ourselves”. We owe it to specific institutions and people, domestic and foreign. They will insist we pay it back, and deploy their vast political power to prevent its value being inflated away. Worse, we’ve blown the money. Borrowing at low rates to rebuild America’s infrastructure would have been wisdom. Instead most of the money has disappeared along with the past five winters’ snows — leaving only the debt and our decaying infrastructure. (f) What about the unknown effects? History has few precedents for such a wide range of government stimulus programs, done at such size, undertaken for so long. There might be severe economic effects, as yet unseen — becoming visible only slowly, or when the programs are ended. How have the stimulus programs distorted the normal working of the US economy? The immaturity of economic theory makes it a poor guide to such questions. We should expect the unexpected. Afterwards economists will explain why these (now conjectural) ill effects were quite obvious. How could so much be borrowed — how could such low rates be maintained — how could the nation’s credit markets be manipulated (eg, now the government guarantees 80%+ of new mortgages) — without long-term ill effects? We should fear the example of Japan. They fell into a slump in 1998 and, for reasons not understood, never recovered. Their prosperity continues only through massive government deficits and ZIRP. 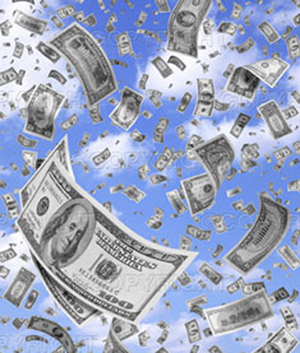 Fiscal and monetary stimulus might have become an addiction which they cannot break. 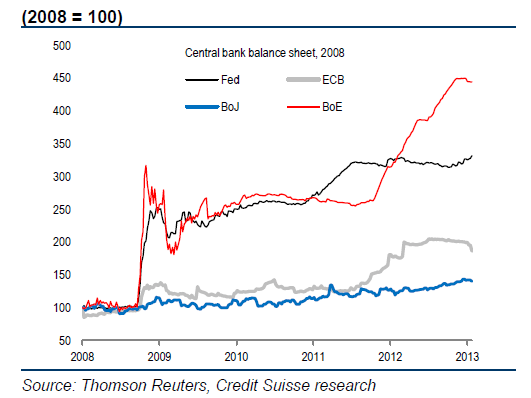 (3) Why continue the stimulus? Many economists tell us the fiscal stimulus no longer drives GDP growth. 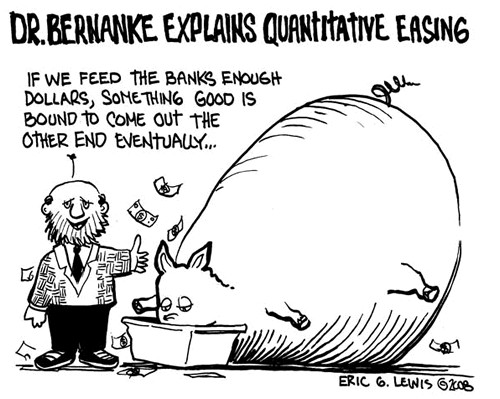 ; many say the same about Fed monetary programs (ZIRP, QE∞). Supposedly we no longer need the stimulus, and just wait for an opportune time to drastically reduce it. While their math is of course correct, it ignores the effect of removing the stimulus (ie, its effect on the level of GDP). Consider another form of addiction. Junkies often say “I don’t need the dope; I can stop at any time”. We can easily prove the junkies correct. Stop the drugs. Life will go on (for most chemical addictions). But only after an unpleasant period of withdrawal. The longer the drug use, the more difficult the withdrawal. Junkies seldom have the will to endure withdrawal without help. The same might be true of our stimulus programs. When the proper time comes, will we accept the possibility of withdrawal pains and wind down the stimulus programs? Look at this from another perspective: if the economy is strong — as Wall Streets’ economists tell us — why continue these extreme monetary policies? Why continue to so slowly reduce the massive deficit? It’s not just to help the unemployed. There are more effective methods to do that — better for them and the nation. As a thought experiment, half of our trillion+ dollar deficit could employ all 13 million unemployed at $40 thousand gross per year (as an illustration, although impractical). Perhaps our leaders continue the various stimulus programs because they suspect the hidden weakness of the US economy. They talk positively to manage expectations. Information management, managing expectations — spin and lies have become an increasingly large aspect of many departments of government. Civilian and military. It’s the way a weak, foolish people are ruled. We have been taught — or trained — to believe ourselves exceptional, so that Americans need not look to other nations for lessons. That’s a bulwark supporting our mad public policies in many fields, such as national security, education, and health care. A look at our more successful peers, such as those in Northern Europe, would shatter our preconceptions and sense of superiority. So it is with some aspects of our economic policy. 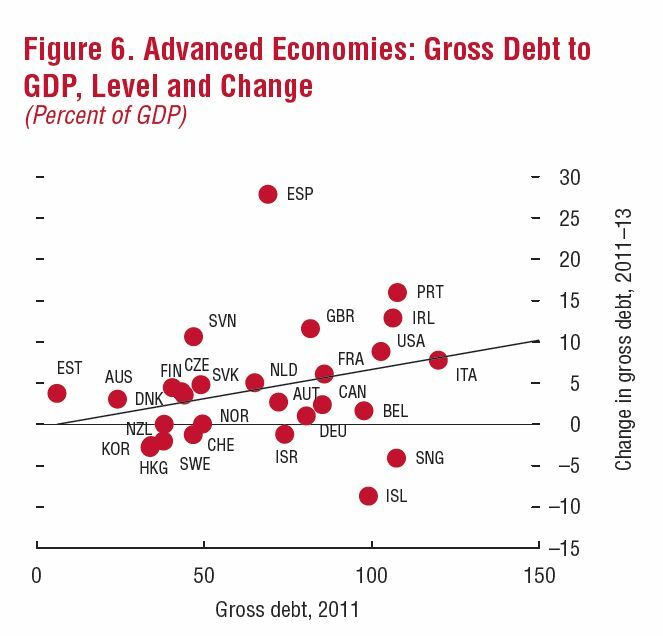 This graphic from the IMF’s Fiscal Monitor of October 2012 puts the US on the inefficient frontier along with Ireland, Italy, Spain, and Portugal. We’re not in good company. Following us (below and to the left) are Great Britain — perhaps now re-entering recession — plus France and Belgium (the weakest nations in Northern Europe). Previous Post A status report on the US economy. What lies ahead for us? Next Post How do our leaders see us? Don the shoes of the 1%. Look down on the 99%. Describe the view.